It’s Monday, and you’re either having a hard time transitioning from partying too hard, lazying around or being a couch potato to getting ready for your 9 to 5. To those with the beginning of the week blues, this one is for you. 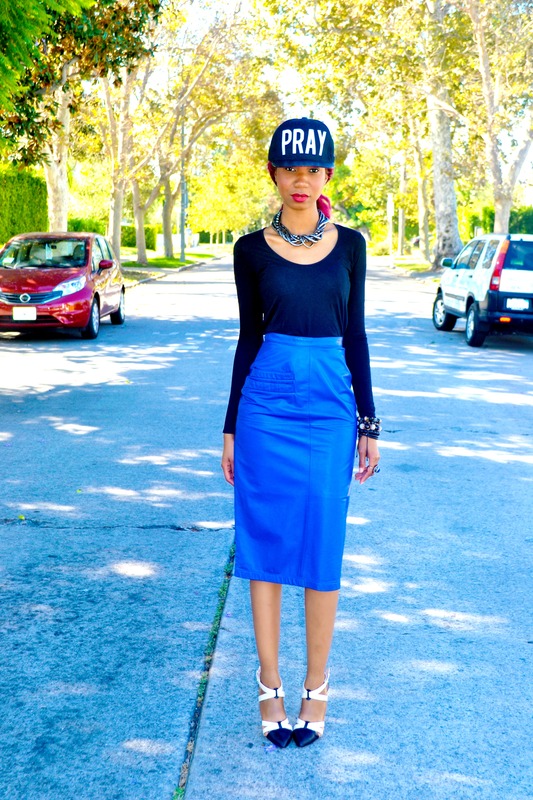 Cure your Monday blues with a basic long sleeve shirt paired with an over-the-knee pencil skirt for a subtle look. Doctor’s orders. 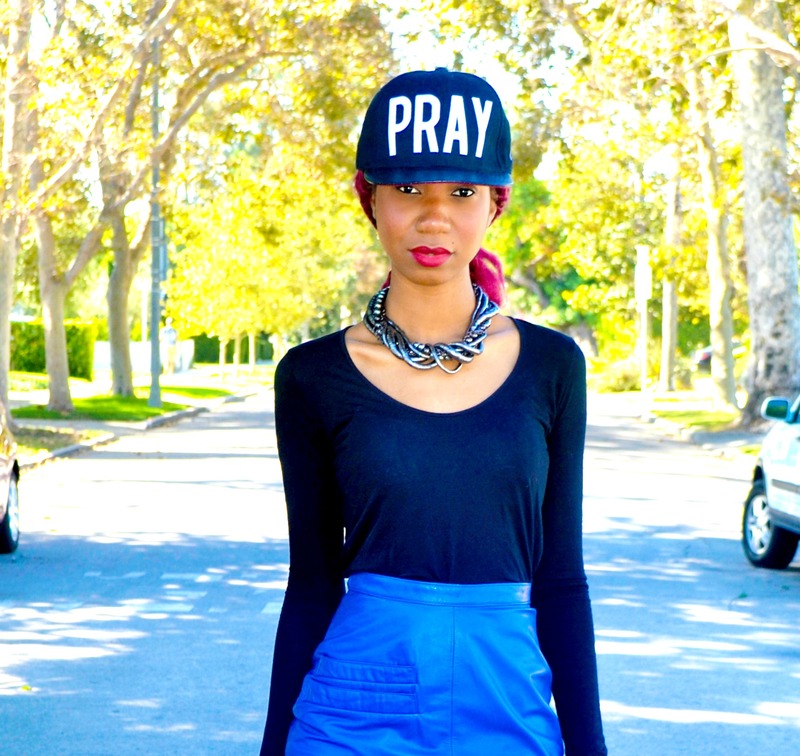 PRAY cap, HELMUT LANG long-sleeve double shirttail-tee (also in white here), VINTAGE leather skirt(as seen here, try here), BETSEY JOHNSON contrast heels (try this, and this).